100% natural, pure and flavorful. Almost directly from tree to table, free of colouring or additives. Healthier alternative to white sugar, when used in moderate amounts as it contains fewer calories. Retains higher levels of potentially beneficial minerals like calcium, magnesium, zinc and copper. May be helpful in metabolic function and moderating blood sugar levels. This flavourful sweetener is 100% natural, pure and free of any colouring or additives, and may be a healthier alternative to sugar when used in moderate amounts. Boiled down directly from tree sap, which is harvested from the maple tree towards the end of winter, pure maple syrup is an unprocessed, authentic product of nature. White sugar, typically derived from sugar cane, is processed and purified before being sold. Because maple syrup is not processed, it contains higher levels of potentially beneficial minerals, including calcium, potassium, magnesium, zinc, sodium and copper, making it the best sugar alternative. In addition, 100% pure maple syrup does not contain high fructose corn syrup, a modified sugar substitute commonly found in processed foods. In contrast with other sugars that are not recommended for people having higher blood sugar levels, pure maple syrup contains a phytohormone called abscisic acid, which may be helpful in moderating blood sugar levels and metabolic functions. This phytohormone stimulates the release of insulin by pancreatic cells, increases the sensitivity of fat cells and encourages the absorption of sugars by the muscles. Studies currently underway indicate that it may therefore help the body better metabolize the sugars in maple syrup. 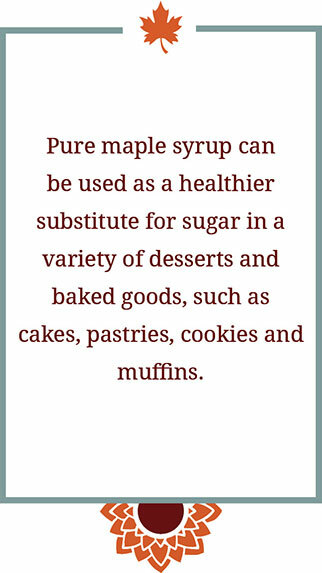 In most recipes that call for sugar, replace white or brown sugar with an equivalent volume of maple syrup. Just reduce the quantity of liquid in the recipe accordingly (for each cup of maple syrup substituted, reduce liquid by a ¼ cup). 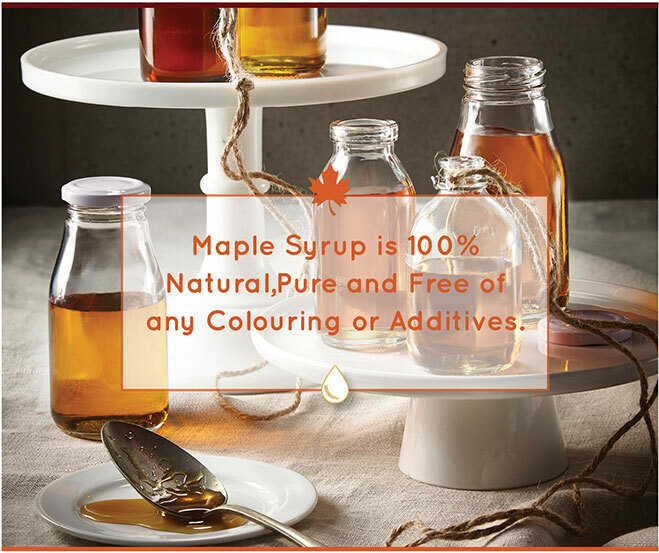 Maple syrup can also be substituted directly for liquid sweeteners, such as honey, treacle and corn syrup, without any other adjustments.